Emily Northrop, professor of economics and business at Southwestern University, speaks during a news conference Tuesday outside the Governor’s Mansion. About two dozen climate scientists signed a letter addressed to Gov. Greg Abbott discussing climate change and how action is needed to cut global warming pollution. A group of Texas climate scientists on Tuesday urged Gov. Greg Abbott not to “stick your head in the sand” when it comes to the impact of climate change on the state and urged him to take steps to reduce Texas’ greenhouse gas emissions, which are the highest in the country by a wide margin, according to the U.S. Energy Information Administration. On the first day of the 2019 legislative session, the group delivered a letter to Abbott’s staff at the Capitol, signed by two dozen university professors in Texas, offering to brief the governor on climate science. 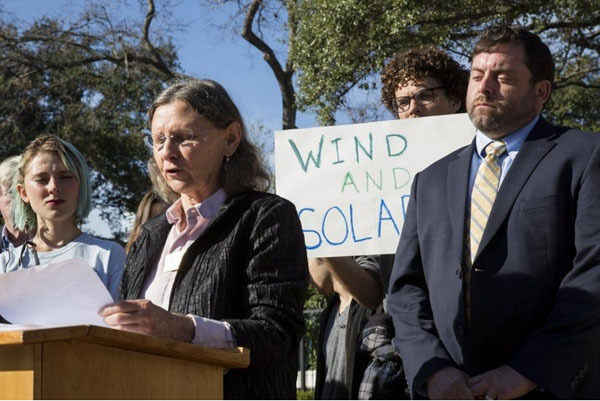 “You don’t need to be a scientist to accept the science on climate change,” said Emma Pabst, clean energy associate with Environment Texas, at a news conference in front of the Governor’s Mansion before delivering the letter. The letter came in response to Abbott’s December comment about the role of climate change in fueling Hurricane Harvey, which did $125 billion in damage in Texas, more than any other natural disaster in U.S. history except Hurricane Katrina, according to a state report. The report, which was overseen by Texas A&M University System Chancellor John Sharp and included contributions from more than two dozen researchers and extension agents in the Texas A&M System, is perhaps the closest the governor’s office has come to acknowledging climate change — while avoiding that exact, politically charged term, except in citations of scientific papers. 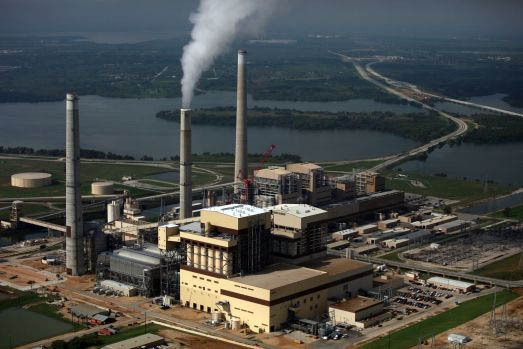 The report steered clear of recommending policies to tamp down carbon emissions in Texas. The state, which also leads the nation in renewable wind energy, produced 657 million metric tons of carbon in 2016, 5 percent higher than the year before and nearly twice as much as second-place state California, according to the Energy Information Administration. The scientists called on Abbott to undertake a series of actions, including updating building codes, incentivizing electric vehicles and limiting fossil fuel infrastructure. The groups also urged more specific action, including ordering regular inspections of natural gas extraction sites to better regulate harmful methane emissions, and directing the Texas Public Utility Commission to increase its energy efficiency goals. While the recommendations were aimed at Abbott, Cyrus Reed of the Lone Star Sierra Club also urged passage of a newly filed bill by state Rep. Eric Johnson, D-Dallas, which would require state agencies to incorporate climate change forecasts into their long-range and budget planning. “It’s a simple bill,” Reed said. A 2018 Yale Climate Opinion survey found 56 percent of Texans believe global warming is mostly caused by human activities, just a hair below the national rate of 57 percent. The U.S. government’s National Climate Assessment recently warned that, by the late 21st century, temperatures in Texas could climb by more than 8 degrees, with an additional 30 to 60 days of 100-degree-plus temperatures and extreme heat that could result in hundreds of more heat-related deaths and greater risks to outdoor agricultural workers. Statesman staff writer Asher Price contributed to this report. "It’s a pretty bold statement to announce this at this particular time." Austin Energy announces record-low utility-scale solar price, even as the industry stares down an uncertain Section 201 verdict. Last week, Intersect Power and Austin Energy, one of the country’s largest publicly owned electric utilities, announced a 150-megawatt solar power purchase agreement at $10 million to $12 million annually for 15 years. It’s the lowest solar PPA price the U.S. has ever seen. While the historic-low price makes the agreement newsworthy on its own, the announcement is more notable given the current climate of uncertainty swirling around the industry because of the Section 201 trade case brought by Suniva and SolarWorld. That uncertainty contributed to Q3 being the U.S. solar industry’s smallest quarter in two years in terms of deployments. "It’s a pretty bold statement to announce this at this particular time," said GTM Research analyst Colin Smith. "It shows, particularly on Austin Energy’s part, a real confidence in the industry of what the low cost of solar energy can still provide them." The Texas-based utility did not offer exact details on the megawatt-hour price for the agreement. But based on some back-of-the-envelope calculations, Smith estimates the cost hovers between $23.50 and $27.25 per megawatt-hour. It could even be as low as $21 per megawatt-hour. "It’s low enough that it’s kind of shocking," said Smith. Record-low prices arriving first in Texas makes sense. 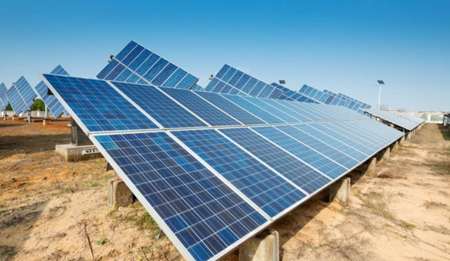 It’s among the country’s top 10 states for solar installations. It’s also generally one of the cheapest regions in the country for large-scale renewables, according to Smith, because of the price for land acquisition, interconnection and other factors. The price going so low there suggests other regions of the country, especially large states with developed utility-scale solar markets like North Carolina and California, could soon see similar prices. "[Texas] has a lot of factors in its favor to allow it to hit a historically low price," said Smith. "But this also means developers in other regions should be on a track to lower prices at a similar clip." The rock-bottom price in Austin puts a deal inked in May between NextEra Energy Resources and Tucson Electric Power for a 100-megawatt solar array in second place. Arizona’s sub-$30 per megawatt-hour PPA, with a $15 per megawatt-hour energy storage component, claimed the historic spot in May. In just a few months, another upset may take away Austin’s title. The price also narrows the cost gap between solar and wind, upping the viability of pairing these resources to balance the grid during on- and off-peak periods. Most of all, both the price and the 15-year timeframe can be seen as a vote of confidence in an industry experiencing a great deal of tumult. Earlier this month, a joint report from GTM Research and the Solar Energy Industries Association found the solar industry shrank on both a quarterly and annual basis in Q3. Another December GTM Research report found that average fixed-tilt utility-scale solar prices inched back up over the SunShot price target of $1 per watt. Those cases are just snapshots of a slight chill in a rapidly growing industry, but the Austin price may offer the industry a sorely needed shot in the arm as it heads into 2018. The ITC offered its final recommendation to President Drumpf November 13, and the administration has until late January to respond. "If we’re looking at this in a vacuum, and ignoring any political changes going on, any time we see a significant drop in PPA prices and we see a new low, it’s worth taking note," said Smith. But, he added, "This is being announced at a time when a lot of offtakers are very uncertain about the future of U.S. solar." The deal is expected to bring Austin Energy’s mix to 51 percent renewables by 2020. CPS Energy is well positioned to meet the goals of EPA’s new Clean Power Plan, a rule designed to reduce global warming pollution from power plants. San Antonio will come out a winner due to CPS Energy’s foresight in developing renewable energy, such as solar and wind, and the increased use of energy efficiency to reduce the amount of electricity needed. Several years ago, CPS Energy was under pressure from SEED Coalition, Neighborhoods First Alliance, Jefferson Heights Neighborhood Association and others to retire the old and polluting Deely coal plants. The settlement reached in the Spruce 2 coal plant case, local citizen activism, and the leadership of Mayors Julián Castro and Phil Hardberger, CPS Energy’s Doyle Beneby, and Solar San Antonio have all helped put the utility on a clean energy path, positioned well to exceed the EPA’s new global warming requirements. CPS Energy keeps electric rates among the lowest in the nation’s largest U.S. cities. The utility ranks first in the state and seventh in the nation for solar generation, and is building out 400 MW of solar. Solar leasing and community solar programs are being piloted to help more people and businesses benefit directly from solar investment. CPS Energy’s plan has led to new businesses locating their headquarters in San Antonio. Over 700 new jobs have been created, with an annual payroll of nearly $40 million. New factories have been built to manufacture solar panels, inverters and highly efficient lighting, all of which will be needed by other utilities seeking to comply with the new carbon pollution rules. Twelve states have larger carbon reduction goals than Texas, which is required to reduce carbon emissions from coal plants by 39 percent. San Antonio will retire Deely 1 & 2 by 2018, and we will have cleaner air to breathe as a result. Our state continues to lead the nation in wind production, and solar investment is on the increase since costs are plummeting. Texas can meet its goals and can benefit financially from the Clean Power Plan if we further develop renewable energy and arrange for other states to buy renewable energy credits from us. Texas will likely reach the renewable energy goal required by the rule, 20 percent by 2030, a couple years early. Using more efficient appliances and equipment will help meet Texas’ carbon reductions, along with demand side reduction, shifting the time of use of electricity to off-peak hours. While some utilities complain of the costs that the rule would create, what we really can’t afford is the cost of inaction. Climate change impacts are being seen already, in intensified storms, temperature extremes, drought and flooding. According to a report called Come Heat and High Water, Texas climate impacts will be most evident in the number of days of extreme heat each year. The typical Texan has experienced an average of 43 days per year of temperatures above 95°F, but there will likely be up to 106 days per year by 2040-2059. Texas will lead the nation in heat related deaths, with an additional 2,570 lives lost each year. Ranching and farming will be impacted. For example, corn yields will likely decrease. The sea level at Galveston will likely rise 1.5 to 2.0 feet by 2050 and $20.9 billion in Texas coastal property is likely to be flooded at high tide by 2030. The cost of inaction will be higher than the cost of action to reduce global warming impacts, in terms of dollars and human lives. CPS Energy has shown that achieving much-needed carbon reductions through renewable energy and energy efficiency is doable and affordable, demonstrating to other utilities how Clean Power Plan goals can readily be met. Karen Hadden is executive director of the Sustainable Energy & Economic Development (SEED) Coalition, which works for clean air and clean energy in Texas, in coordination with local organizations.